Distance between Nashik and Delhi is about 1,250km. 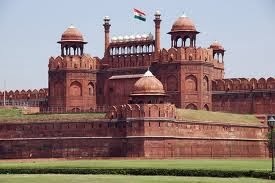 By road, National Highway 3 (Mumbai-Agra) can take you till Agra and there after till Delhi Yamuna Expressway can be used. However, most convenient and effective to reach Delhi from Nashik is by using train service. Currently, 3 daily trains run between Nashik and Delhi – Amritsar Exp., Mangla Exp. and Punjab Mail while LTT Haridwar SF AC bi-weekly. 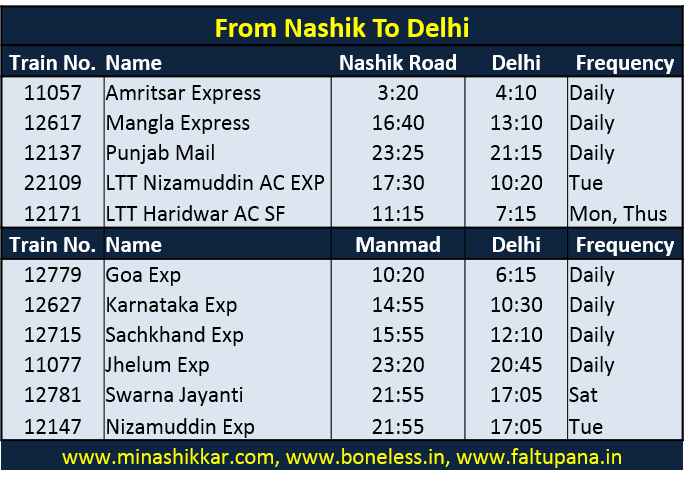 While four more daily and two weekly trains connect Manmad and Delhi. Manmad Junction is about 90km from Nashik city and is one of important railway station on Central Railway. Traveler can reach Manmad either by using train from Nashik Road till Manmad, by bus or by using taxi. Currently, Nashik does not have active passenger airport. However, people wish to use air service to reach Delhi can travel to Mumbai Airport –Domestic Terminal (170 km from Nashik) and catch flight till Delhi. Both Mumbai and Delhi have large number of connecting flights offered by many airline companies.